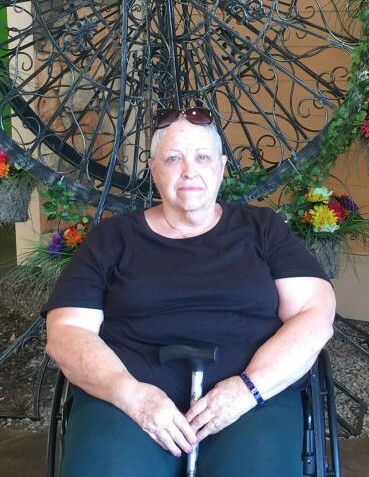 Marilyn S. (Hoy) Williams, 73, of Pataskala, passed away on January 19, 2019 at Mt. Carmel East Hospital. She was born on January 21, 1945 to the late Clarence F. and Ethel Hoy in Lancaster, OH. Marilyn was a 1964 graduate of Amanda High School, long time worker for Anchor Hocking, and was a loving mother, grandmother, niece, and aunt who is survived by her daughter; Denise (Allen) Robey; grandsons; Matt Glenn and Rocky Robey; sisters; Darlene Lantz and Carolyn Graham; aunt; Edna Wachter; nephews; Mark Bradford, Bryan Bradford, David (Glenna) Lantz, Travis (Tiffany) Bradford; and Aaron Bradford; nieces; Cindy (Chucky) Lantz and Mindy (Jesus) Herrera; special cousin, Sandy Wachter; and many nieces, nephews, cousins, and friends. Marilyn has a large family and will miss her. She is preceded in death by her parents, Clarence F. and Ethel Hoy; and sister, Viola Bradford. A funeral service will take place at 10:30 AM on Thursday, January 24, 2019, in the FRANK E. SMITH FUNERAL HOME CHAPEL, 405 N. Columbus St., Lancaster, OH, 43130, officiated by Pastor Mel Truex. Burial will follow in Floral Hills Memory Gardens. Family and friends may visit from 2-4 PM and again from 6-8 PM on Wednesday at the funeral home.